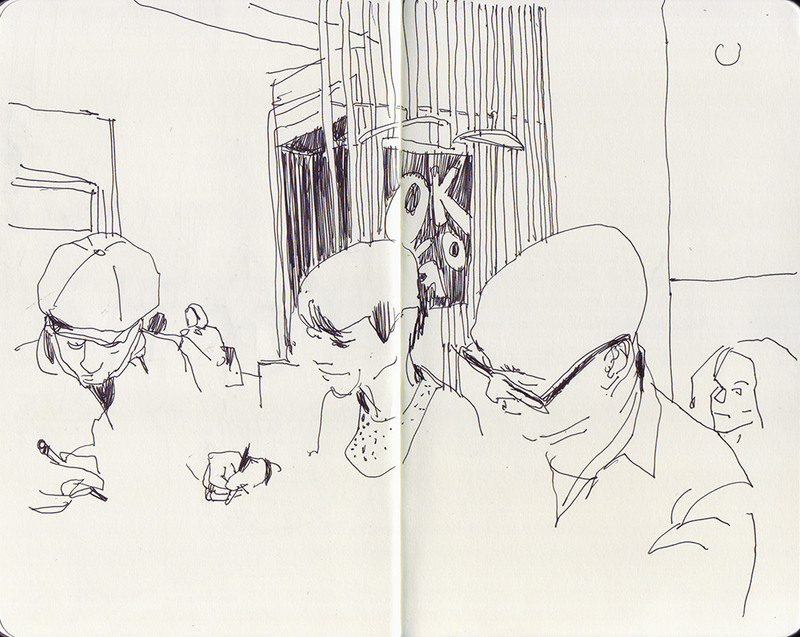 To complete the series: Harald, Olivia and Jürg at the third Illustratoren-Stammtisch. P.s. By the way, it's finally arrived the time to replace our winter banner, but if you are missing the snow, I've created a gallery of past images here.